Sophie, what sort of art or design do you do? 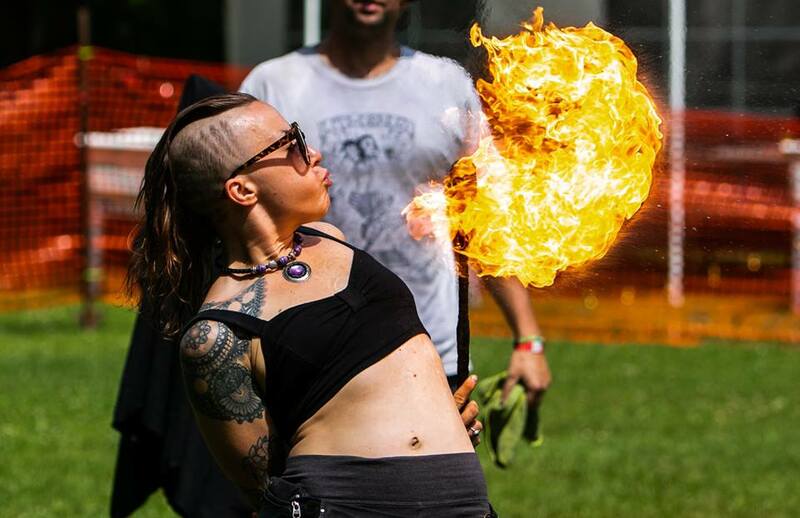 I specialize in various styles of hula hooping and juggling, as well as multi prop fire performances. I eat and breath fire. I manipulate props. I dance. I model. I choreograph. I perform burlesque and drag. I stilt walk. 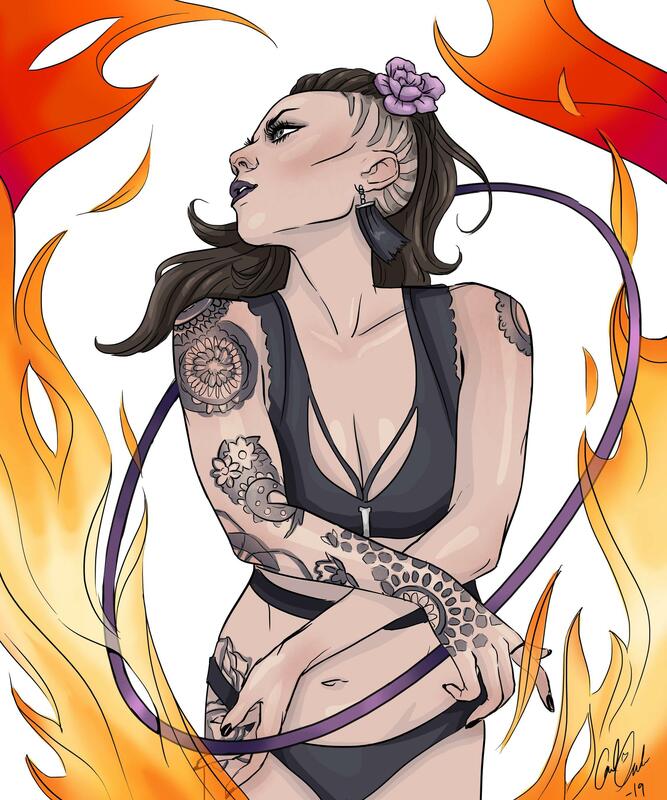 I also design costumes, headdresses, as well as make specialty hula hoops and fire props. I occasionally do hair and makeup for myself as well as The Madison Opera, and certain shows at the Overture Center. I have made art installations with hoops and other recycled material that has been displayed at Kinetic Fire Festival. I have a current headdress project made completely from garbage found on the ground at music festivals. Another project still to be completed is an outdoor meditation sanctuary/nest made with organic material mixed with upcycled aspects being tied in for story telling as well as functionality. I have dabbled in stage design for a few of my choreographed acts as well. What has been your path to success as an artist? I suppose my path to success is never really feeling all that successful, so it keeps me hungry and pushing for the better. You have to be able to persevere after rejection, and believe in yourself and your work. Creating genuine connections with my community has been pivotal in my success. The support alone is a huge motivator for me. What project(s) are you most proud of and why? 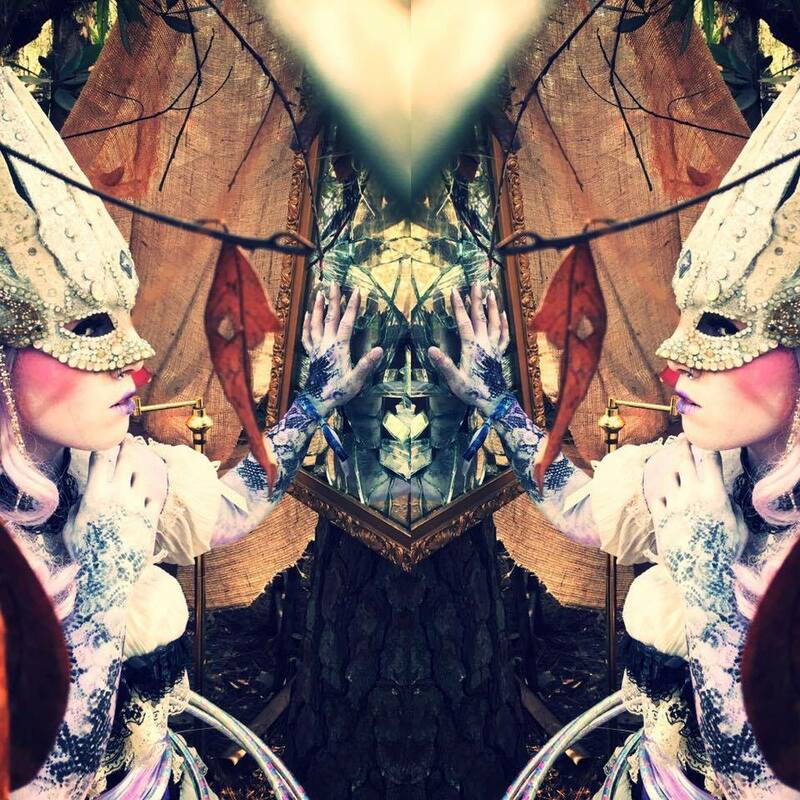 My Tale of Mara performance piece choreographed to be a part of the Electric Forest Hoop Troupe. I would dare say, the most coveted hula hoop contest nationwide? 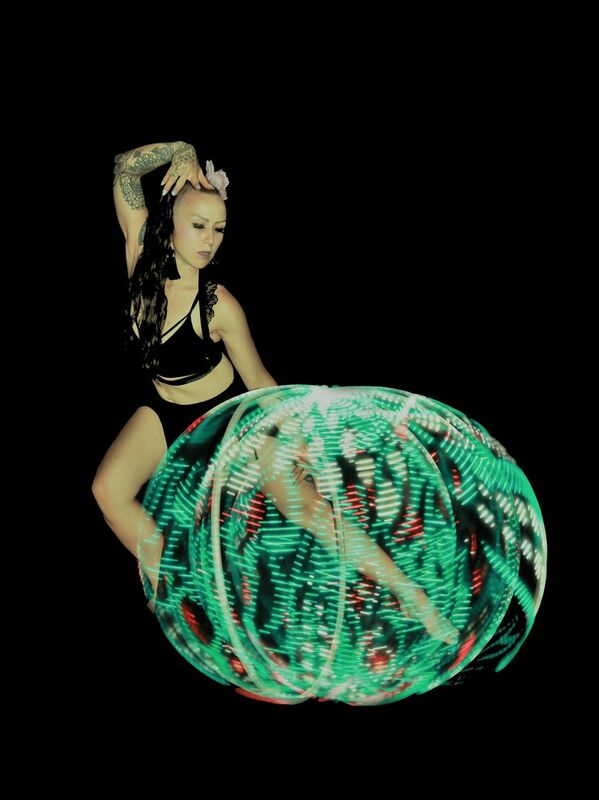 When I had first started really getting into hula hooping I had set a goal for myself to perform at Electric Forest. I was convinced that I didn’t have a chance, but decided to give it my all. I had a set design with a moon that I had painted, I wrote a short story, a quick change on stage into my wolf costume, that I also designed. In my actual choreography I attempted to create the most challenging and unique 3 hoop sequence as a finale as I possibly could at that time. Something that couldn’t be easily replicated. I needed to show a stage ready act though a video submission, which to me meant unedited. I was able to derive a fairly complex piece and deliver it flawlessly. I did not have a realistic time span to create an act and drill it. The quick change was a challenge enough. I was determined to stick with my vision though. I got my spot in the performance group, and was then able to perform another “no drop” act for one of my biggest audiences to date. This was one of the best moments of my life. The hard work paid off and led to so many more amazing people and places. What’s been your biggest creative fail? Withholding vast amounts of my work, and holding myself to too high of a standard. Nothing is wrong with striving towards something greater, but giving yourself credit for where you are at with your skills and progress you have made NOW is important. It is so easy to forget how mediated art is. Not all of us are offered the same resources, so you have to work with what you’ve got. I neglected that and made an assumption that would later prove to be incorrect, due to miscommunication. I could have clarified, had I followed my intuition, and followed up!!! They were emailing me my passes the day before the event, I was devastated I couldn’t get from Wisconsin to Florida in time. 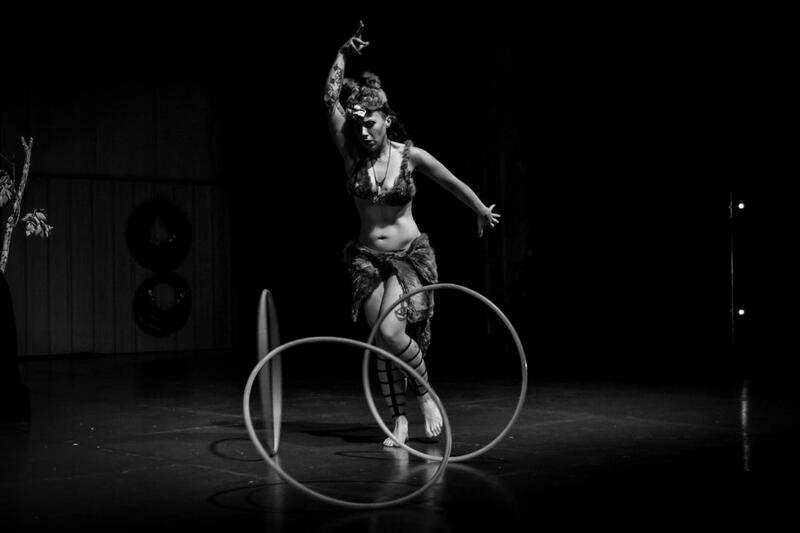 For juggling, it is fairly unconventional that I choose to specialize in juggling hula hoops. Most jugglers prefer clubs, flat rings, or balls. I have always loved the aesthetic of circles, and what they represent to me, which is infinity. I feel most people juggle what they do based on what they see the most. I mix contemporary “circus style” tricks with hip-hip dance, as well as object manipulation. 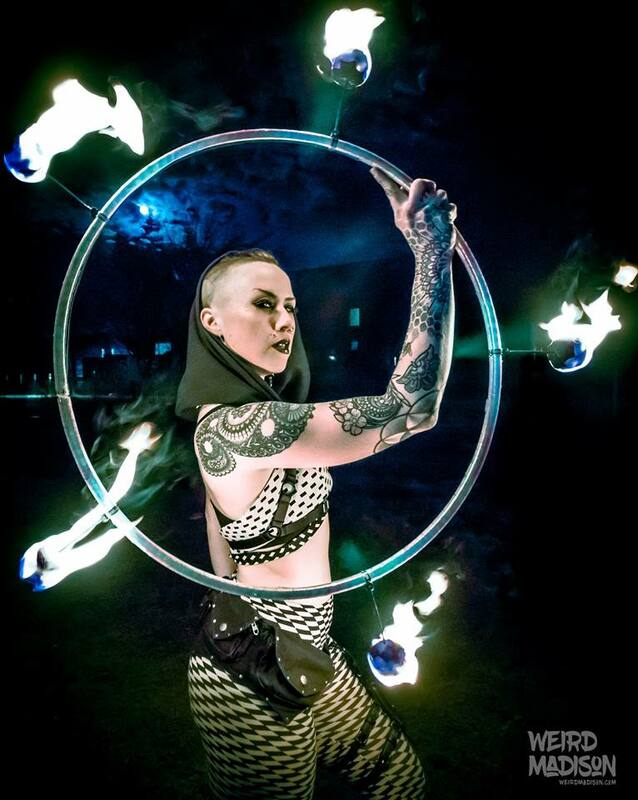 I think hula hoops are the most versatile prop to juggle, but all shapes have their limitations. Clubs have their place, but hoops are better. What are some of the big professionals do’s and don’t you’ve learned along the way? Three of each, if you can. Do – Set a positive tone. Don’t expect motivation or support from others if you aren’t giving it yourself. Do – Make contracts for all gigs, no matter who it is! No matter how simple, if only to clarify that both parties are on the same page. Don’t – Stress the small stuff. Hick-ups happen. Handle it with grace and carry on. Don’t – Take yourself too seriously. Pretentiousness is not a good look, no matter how talented you are. Don’t – forget to bring a towel!!! Set goals. A dream is just a dream. A goal is a dream with a plan and a deadline. Immerse yourself in you local community, where networking is vital. Keep business cards on hand. Donate your time to admirable causes to gain experience and support charity through skills and/or services. Keep your work well organized and updated, preferably backed up on multiple sources. If you are having a roadblock draw inspiration from others. Inspiration is all around you! Be around people better than you. Doing so will expedite your growth exponentially. We also simply can’t produce constantly, sometimes you just need a break to recharge. Death and rebirth are part of the cycle in art and creation. I will use my costume design, styling, and overall posture/demeanor as an example when I am sharing a video. If I have an eye catching costume that compliments by body, I am centered in frame, with a flattering and interesting stance, with a quality resolution, bold colors, ect., it will definitely get way more attention! After I have their attention, viewers will be more likely to watch my minute long sequence. People who don’t already know me and what I do are more likely to click on my video through hashtags I use, and I create a larger audience that way. Quality video and pictures, with the right colors and composition, are a game changer with anything you market. When I have quality pictures and videos, with the right composition, with me as a focal point, posted at the right time, I definitely reach a larger demographic and potential client base. When I apply to perform, how my work is represented through media is crucial. You need to catch their attention right away, a stranger isn’t going to go sifting through the mud for a ruby to hire you. As our planet becomes more and more overpopulated, more and more work is also going to become automated. As a result, jobs will most likely become much more scarce. The creative industry is going to get a lot more competitive than it already is since many of these positions cannot be replaced by robots. This will raise the bottom line standards of professionalism and quality of work in the industry. It may possibly be some of the only light at the end of the tunnel, or an escape, from dark times to come. One of the most beloved and revered autonomous zones. Unless something drastic happens, and fast. With technology constantly on the rise, graphic design stays on the rise with it. I and am super intrigued by all the 3-D mapping and live stream projection being incorporated into performance art and music. Visuals keep getting more insane, as well as the virtual reality. Check out Android Jones work as an example. For prop manipulation, locally, Danielle Lee (board member of Madison Circus Space) and Sarah Sparkles inspired me to pick up hula hooping. I’m lucky to call them friends. 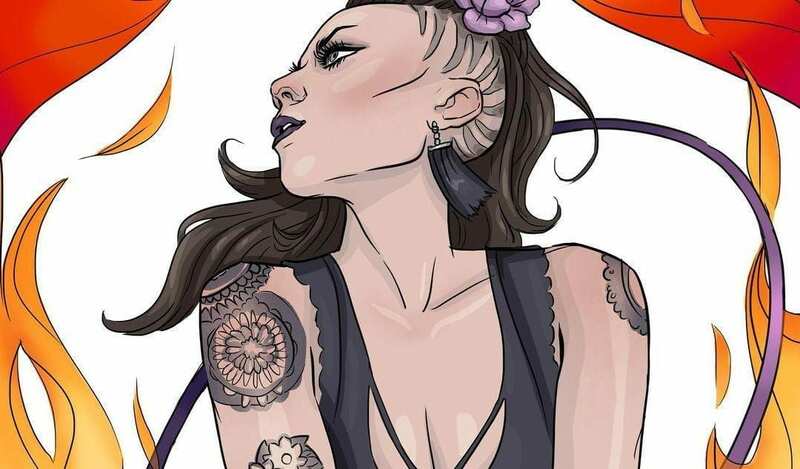 Tiana Lee Zoumer, Steve Bags, Poki, Cassie McKenney and Mackenzie Brooke Simpler ( Double McJuggle), Evan Davis, Kyle Johnson, Michelle Clark, Leena Park and Wes Peydon are all rock solid examples of extremely talented and unique styles that inspire the heck out of me! So many more though. It is ridiculous how much talent is out there! I can go on forever. I follow a lot of Bay Area hip-hop dancers (Turf style/ new style) Check out Turf Inc for some dope battles or YAK Films for some gorgeous editing and choreography. My work environment is always different. I am training at Monkey Bar Gym. I have an amazing trainer, Jon Hinds, that helps me a lot with conditioning for circus skills outside of the gym. I practice at the Madison Circus Space. As a member, I basically can train there whenever I want to, around my oddball schedule of gigs. My home is also an art and dance studio, where I create and choreograph, as well as plan. Lot’s of open space, mirrors, and shiny things! Besides performing on stage, I’m also setting up on stage for big arena shows as well as theatrical productions. Sometimes you can also catch me in the wigs room doing hair and makeup. I get hired for private corporate events, fundraisers, parades, music festivals, circus variety shows, and at clubs. For festivals, sometimes I am camping for days in a row, in less than ideal conditions, while trying to be glamorous and entertain! It ain’t as fancy as it looks. It is fun though!